Dropbox has become my cloud storage vendor of choice, replacing Office Live Workspace for those times when I need to synchronize files between multiple machines (think home vs. work; no more sneakernet with USB keys), when I want to make sure files are accessible from anywhere, and when I just need to get a large file (or files) from one place to another. It's also great as a secure backup solution. 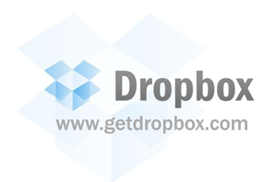 Dropbox is free (2GB of storage, 50GB is $10/month, prices/storage go up from there), secure, and fast. One of the best things about it--and what ultimately made me abandon Office Live Workspace--has to do with the way Dropbox works. You save/copy files into this local folder. The first time you do so, the Dropbox client app will auto-sync with the Dropbox servers, copying those files up into the cloud. Further, if you have Dropbox installed on other machines, those machines will have their individual local Dropbox folder sync'ed as well. In other words, since I have the Dropbox client app installed on my laptop at home and my work machine, anything I copy into my Dropbox folder on either machine is sync'ed with Dropbox's server as well as all machines where I have the client installed. Not only is it excellent redundancy, it's a great way to transfer files (especially when they're large) from one computer to another. This differs from Office Live Workspace in one very crucial way: With Dropbox, you're in effect saving to your local machine. The Dropbox client software takes it from there, sync'ing automatically in the background when it notices changes. Office Live Workspace, on the other hand, saves files remotely into the cloud exclusively and in the foreground. This is slow. If you're like me and lived through the unreliability of computers in the 80's, you save a lot. Sometimes I add a sentence and hit a quick Ctrl-S. Then I have to watch as Office Live Workspace proceeds to save the document. Twenty seconds, thirty, or longer, and the save is done. I can't deal with that kind of slowness when I'm trying to save my work; I need to keep my thoughts flowing onto the screen. When it performs a sync it briefly changes the icon. In this particular case I actually accidentally deleted this file. The deletion event is at the top. Fortunately, Dropbox created a new version of the file along the way so restoring to the last good version was easy. This saved me a ton of time as otherwise I would have had to re-create that content. Work on files in your Dropbox even if you're offline. Your changes sync once your computer has an Internet connection again. Dropbox transfers will correctly resume where they left off if the connection drops. Efficient sync - only the pieces of a file that changed (not the whole file) are synced. This saves you time. Doesn't hog your Internet connection. You can manually set bandwidth limits. I'm happy with the service and have yet to have any problems. If you're at all interested in giving the service a try, you can use this link to sign-up. I get 250MB of additional space for the referral. Thanks! Everyone needs a data backup plan, especially if you're the owner of a small business like me. Dropbox seems like a nice web app. I haven't used it before. Normally, I just use the dropbox our university has, which coincidentally is called Dropbox. The user interface is not nearly as pretty though. I've also used EyeOS to transfer files before, even though it's more of a Web app desktop service and overkill if all you want to do is move large files from one place to another: http://eyeos.org/. I also have a SharePoint site with the university where I can drop and pick up files but haven't used it much either.